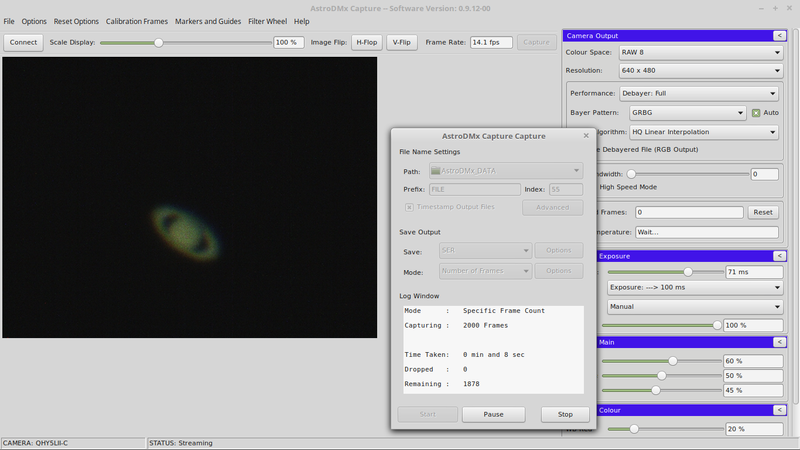 Nicola is also in the process of implementing the QHY 5L-II-C camera (Kindly loaned by SAS member Derek Francis) on AstroDMx Capture for Linux. 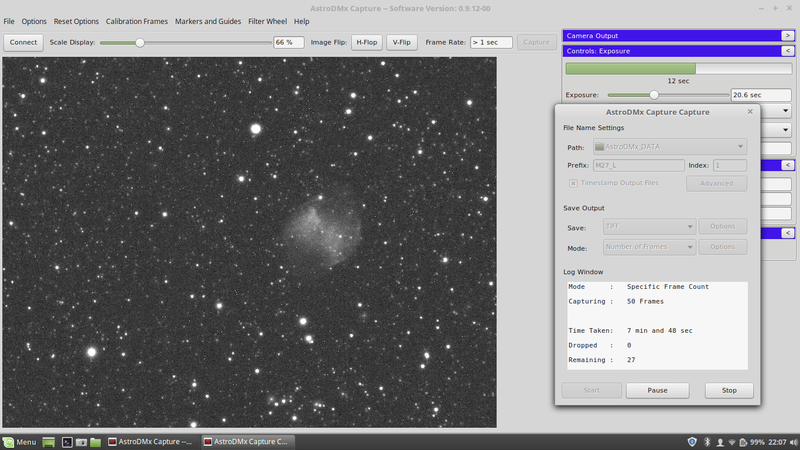 Here is first light for this colour camera with a Skymax 127 Maksutov and a 2.5 x Barlow. Saturn was very low and setting over the mountain. 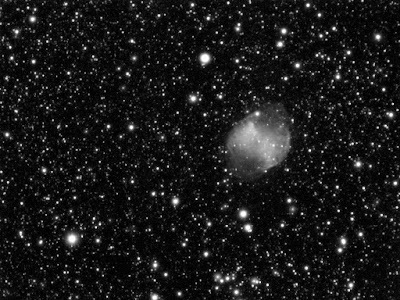 A 2000 frame SER file was captured and the best 40% of the frames were stacked in Autostakkert with RGB alignment, running in Wine. 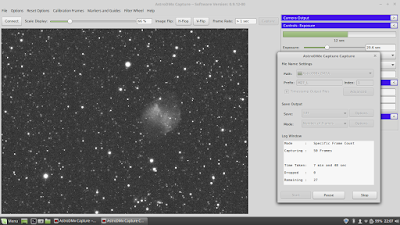 The resulting image was wavelet processed in Registax 5.1 also running in Wine, and post processed in the Gimp 2.9 on a Linux Mint laptop. Nicola is in the process of implementing the QHY 5L-II-M camera on AstroDMx Capture for Linux. 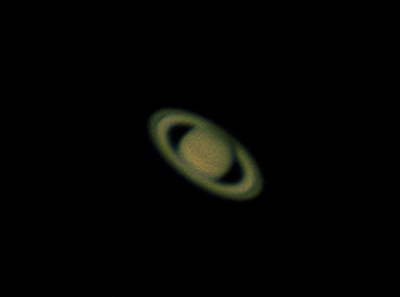 Still a way to go, but first light tonight with an f/5.5, 80mm refractor. 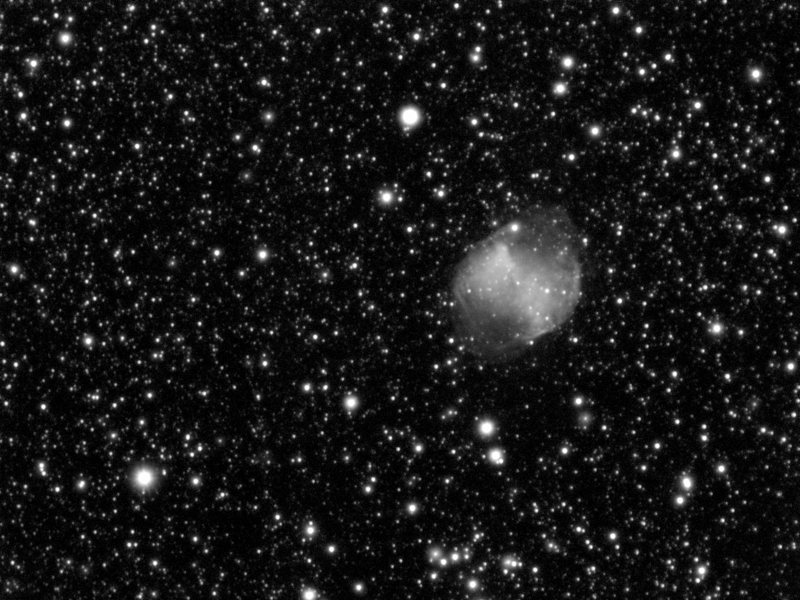 Stack of 38 x 20s, dark-frame corrected exposures of M27. The 8 bit Tiff images were stacked in Deep Sky Stacker running in Wine, and post processed in the Gimp 2.9 on a Linux Mint laptop. Click on the image to get a closer view. On Monday September 18th, BAY TV showed a feature about the Swansea Astronomical Society, filmed at the Society's new observatory. Three former chairmen of the SAS were at the observatory to be interviewed by Presenter Phil Hoyles.